Hey all you humbugs and grumps out there, do you like adorable puppies? How about positive reinforcement for unwanted doggie behavior? Yes? 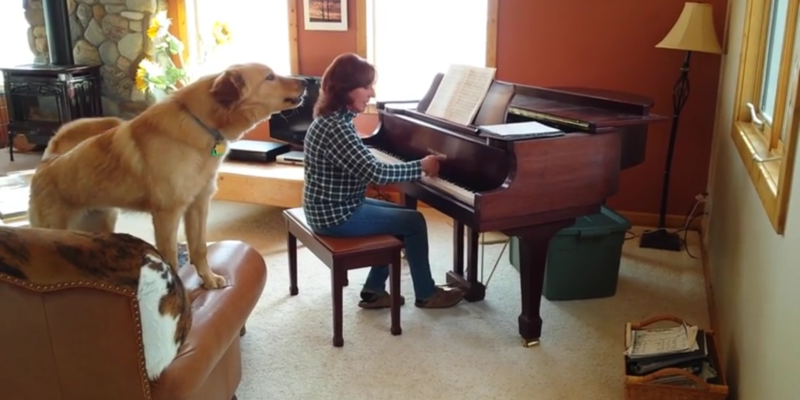 Ok great, then please enjoy this video of my mom playing piano and my parents’ dog Daisy “singing” along. NextPharma Bro buys record. Will only let Taylor Swift listen. Not me! I can’t wait to meet this sweet puppy when I fly out in a couple of weeks. I think just officially, one might say it’s not ideal to encourage this behavior if my mom ever wants to play piano WITHOUT dog accompaniment.